This week I had the pleasure of contributing to the I Love Farm Weddings blog! As a former "barn bride," this was totally up my alley! Farms all over the world, especially within the Southern United States, have been popping up as fully-functioning event venues and couples are booking them like crazy! There is something so classic, homegrown, and relaxed about saying “I do” and dancing ’til dawn in a barn or open field. It evokes memories from childhood for many and gives a well-deserved nod to one’s heritage. 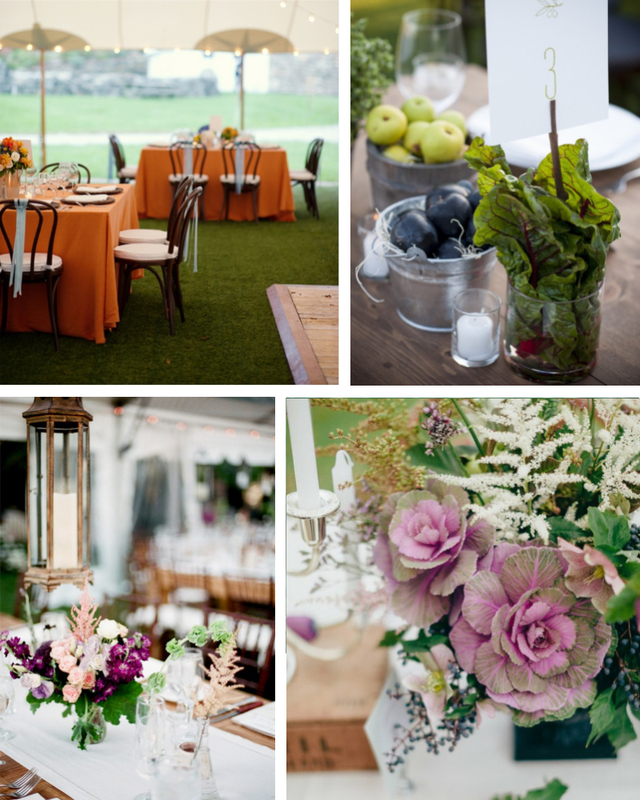 What’s even lovelier is the openness of possibility in planning and styling a wedding of this sort! At first, a lot of people think immediately of mason jars and shabby chic — vintage furniture, mismatched place settings, and quilts; an overload of burlap and lace. While that has been the trend for a few years now, there is so much more you can do in a farm atmosphere!! Instead of regurgitating the same-old typical “farm wedding” you see countless times on Pinterest, why not go for something polished and fresh with that same laid-back feel? Use rich colors and textures — quality over quantity! — to simplify your wedding vision and bring the focus back to the gorgeous natural features of your wedding venue (and the whole reason why the farm feel appeals to you!). A beautiful, sumptuous table linen with simple but richly colored floral centerpieces will make much more of an impact than a cluttered table topped with a thousand antique knickknacks and burlap-covered votives that really mean nothing to you personally. Perhaps you could incorporate beautiful herbs and produce (maybe even from the farm itself?!) in with the florals! I’ve seen stunning arrangements mixing farmer’s market-fresh peaches and garden roses galore. And the colors cabbage comes in are divine!